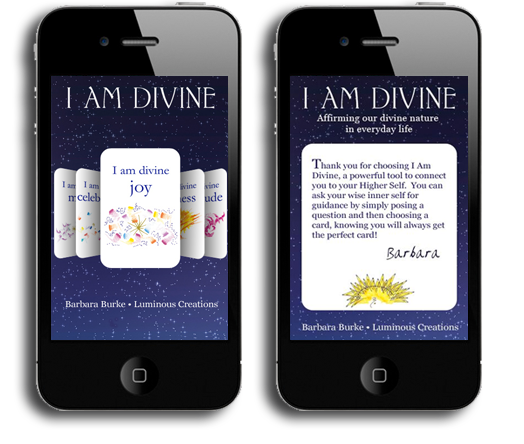 The I Am Divine cards for children are a set of 32 beautifully illustrated I Am Divine affirmation cards with an accompanying reading for each created by Barbara Burke. 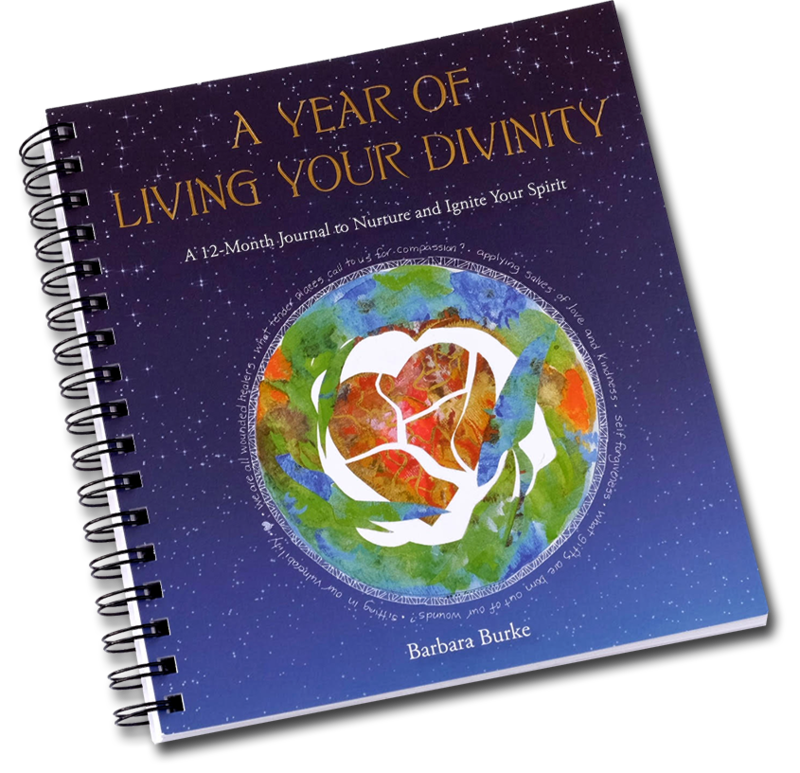 Are you looking for a way to deepen your connection with the wise voice that lives within, that some call your authentic, true or Spiritual Self? 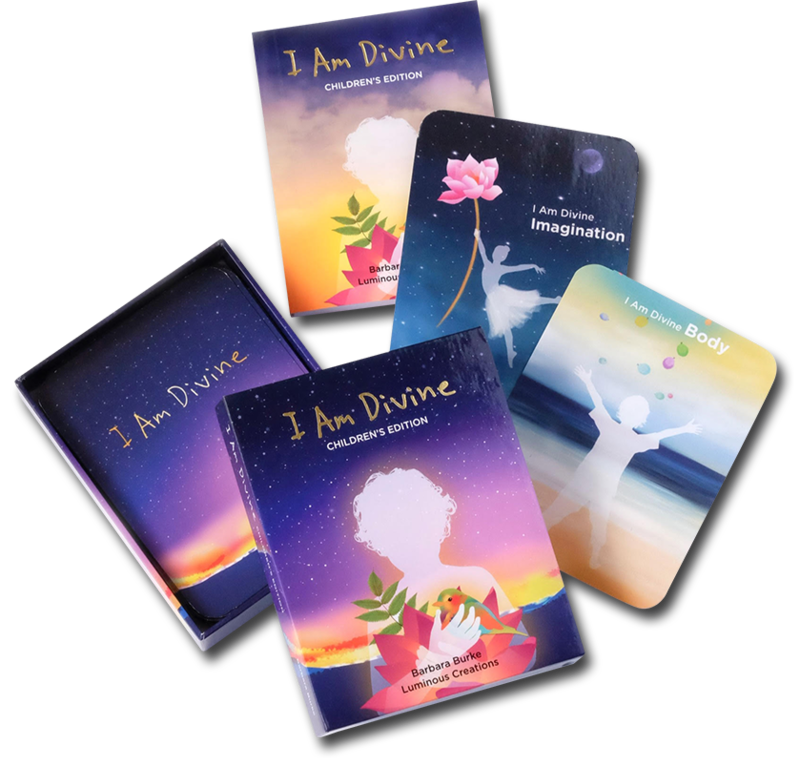 Connect to your Higher Self by using this exquisite 52-card set of Divine affirmations. 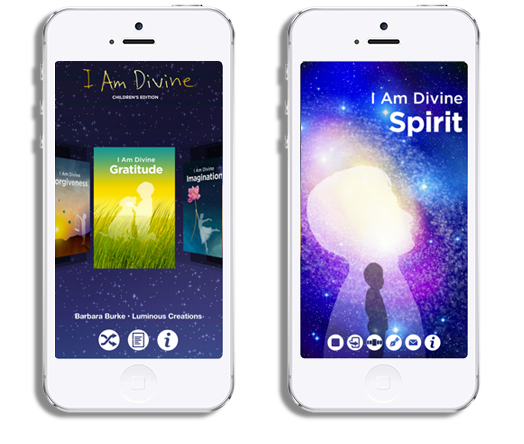 Created by Barbara Burke, I Am Divine is a powerful tool to add to your daily practice. This a great tool for children to connect with their authentic selves. 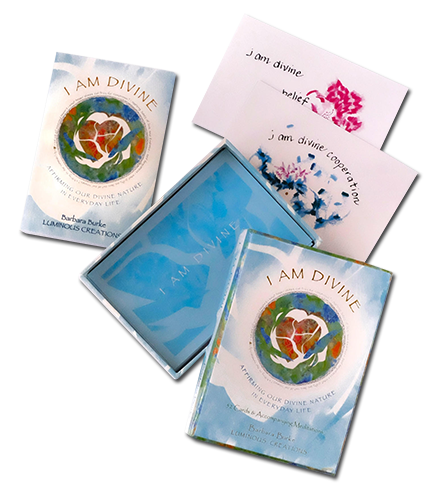 There are 32 beautifully illustrated cards to choose from, each with an accompanying meditation. Barbara Burke is a Toronto-based author, multimedia artist, and Educator. She is also an inspiring speaker, workshop leader and spiritual coach. 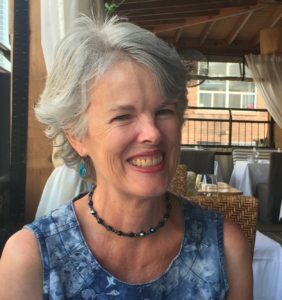 She taught for 29 years in the Toronto school system before becoming a facilitator of personal-growth retreats for The Hoffman Institute Canada.